Laundrapp is the UK’s number one online laundry delivery system serving across 100 cities including London. Laundry business and on demand apps have come together to ease down the everyday laundry work. Being the best example of this, the convenient laundry mobile app, Laundrapp, helps consumer to replace the regular laundrette and dry cleaners by offering doorstep laundry pick-up and drop service. Downloaded over 250,000 times, this online laundry app was awarded ‘App of the Year’ in Start-Up Awards 2016. According to a report from Statista, the dry cleaning and laundry services revenue will reach 7,660 million U.S. dollars by 2022. Moreover, as per the global online on demand laundry service market report 2019, the market is expected to maintain an average annual growth rate of 4.58% by 2023. These are quite impressive numbers for entrepreneurs looking to generate profits through a Laundrapp clone. A number of people every year move to urban areas renting their homes and apartments. Most of them neither have their own washers and dryers nor they want to have. Why don't you offer them a laundry service app to make washing easy? Capitalizing on this opportunity many business people can achieve what they wish for with a dry cleaners app. 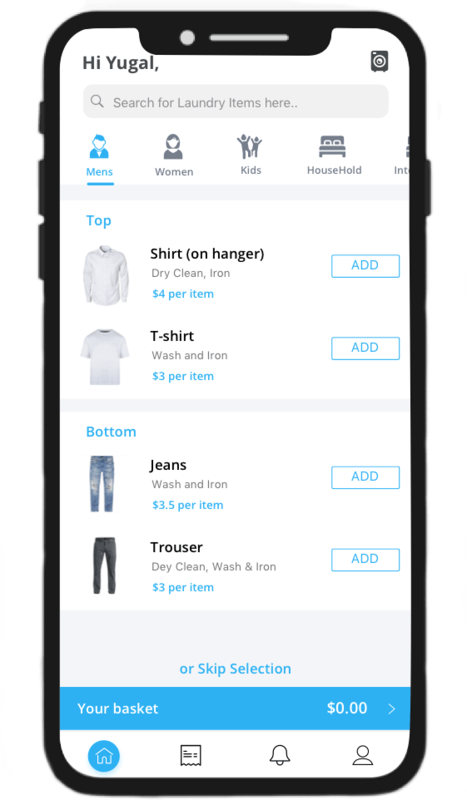 Working on a step-by-step system of Collect-Clean-Deliver, a laundry app like Laundrapp can be a great idea for startups in many countries around the globe. 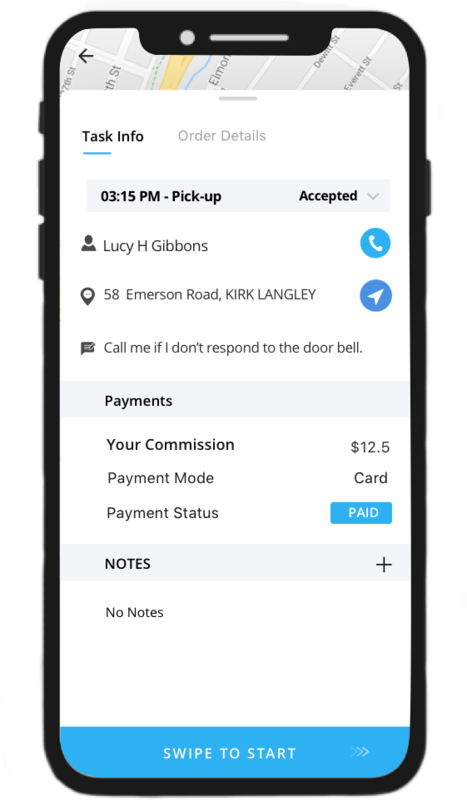 Similar to Laundrapp, you can offer order placing, wash tracking, and even real-time driver tracking in your laundry pick up app. But these are not enough ingredients required to make the best laundry app and enjoy the multi-billion pound laundry industry. A perfect laundry delivery app should offer streamlined delivery process, using smart vehicle tracking, geo-based real-time logistics, and mobile first technology. Only an innovative on demand laundry app development can help produce a fast, efficient, and easier laundry software. Do you want to start working on your vision of a dry cleaning software? Do you want to get the best laundry app development cost? Then you are at the right place. Get in touch now to associate with top mobile app development company and make your own digital platform for laundry delivery and pick-up service. Customers can easily request for laundry pick-up in few taps with tutorials about app usage for first time users. Customers can schedule the laundry pick-up and delivery time as per their convenience while placing a washing or dry-cleaning order. Customers can stay updated with their laundry process through real-time order tracking service. The app comes with instant notifications containing new offers, latest discount coupons, and laundry order status update for customers. Customers can avail multiple in-app payment options such as credit/debit cards, net banking, in-built wallets to avail cashless laundry services. Customers can also choose COD in case they want to pay in cash. When customers like your app, the referral option helps them share the app further with friends and family. Customers get an easy option to leave their rating and feedback on the app about their experience with the laundry services. After a successful laundry delivery, the agent will take digital signature from the customer to update the delivery status from pending to delivered in the agent app. A delivery agent can easily check his or her ratings in the app along with the feedback or appreciations given by customers. Ratings and Feedback can help agents improve their services to keep customers happy in future. With real-time map integration, this app will help agents find shortest and safest routes to always reach on-time for laundry pickup as well as delivery. Enables user to manage the details of all the delivery agents, staff members, and managers. Moreover, store managers can keep track of their daily activities, laundry pick-ups and deliveries. 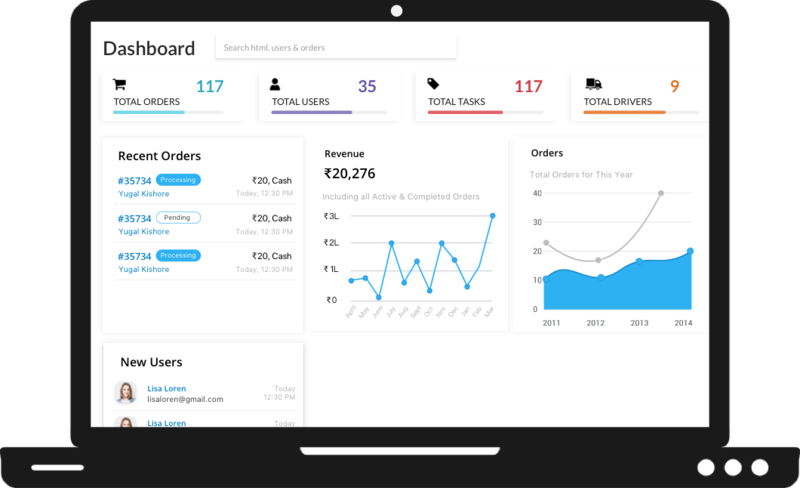 Enables managers to keep track of their delivery agents in real-time and ensure the business gets happy customers with on-time delivery every term. Store managers can send instant notifications to inform their customers about new offers and discount coupons on special occasions. Using the store manager app, managers can keep track of their business reports for all the sales, expenses, and other assets. Managers can keep track of all their resources, stop resource wastage, and fill them before getting empty to continue a hassle-free laundry service to the customers. With in-app built-in chat feature, customers can get in touch with managers 24x7 for service-related queries. Run and manage services of multiple laundries around the region through a single interface of Admin Panel. User can also compare laundry revenues of different locations. Users can add new services and manage or alter costs for all their laundry services through the admin panel. As an admin, you can add, view, edit, and manage customers through their profiles. Admins can also give customized offers to customers by tracking their behaviour through the admin panel. 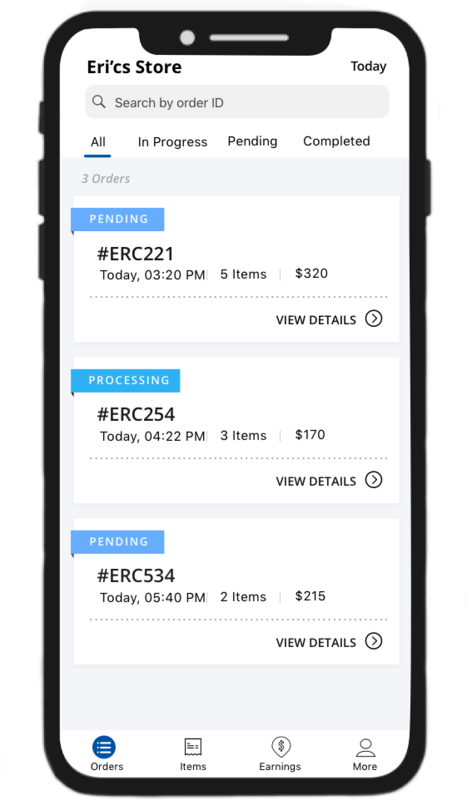 The real-time order and agent tracking through GPS helps admins to update order status in real-time to keep your customers aware of everything. Enables users to accept money from the customers through different channels including credit/debit cards, Net Banking, COD, and other country-oriented payment gateways for easy flow of money. Being an admin, you can get complete analytics of sales, market, and customers to evaluate the business process and streamline business operations for future growth. Ready to start your Online Laundry Delivery Business?